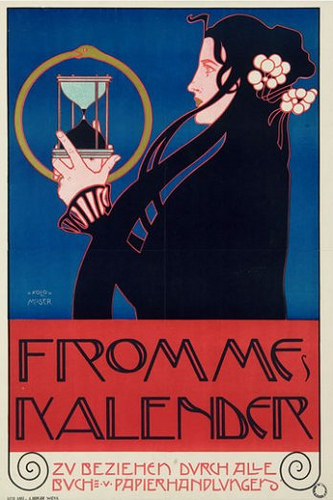 Vienna 1895-1905 was a golden age of design in Berlin and Vienna. 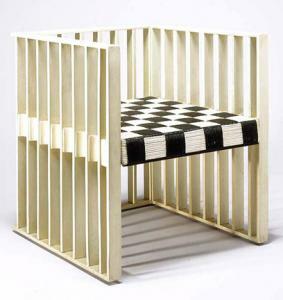 It had its stars—Josef Hoffman , Gustav Klimt, and Koloman Moser. But today Moser is less well known than other champions of Secessionist art. The new show at the Neue Galerie in New York should enhance the design-loving public’s appreciation of the often overlooked Moser (1868-1918). A first, this retrospective demonstrates in a huge variety of media that Moser was an exceptional artist and perhaps even more versatile than his contemporaries. Just about any furniture, textile, glass or ceramics featured in the Neue’s show, “Koloman Moser, Designing Modern Vienna 1897-1907,” would be welcome in a contemporary interior. His work will be on view at the Neue Galerie until the end of the month. It surveys Moser’s decorative arts career including interior design, graphic design, furniture, textiles, jewelry, metalwork, ceramics and even a design for currency, the Austro-Hungarian 100-crown banknote. After leaving the Neue, the show will travel to the Museum of Fine Arts, Houston, where it will be on view from September 29, 2013 to January 12, 2014. What’s striking about this huge assemblage of Moser’s work is that you don’t merely admire or appreciate what you see, but you covet it. Small items like aMoser necklace with silver, lapis lazuli, and opals is just what is needed to make a basic black dress outstanding. Even an informal dinner table would sparkle with Moser’s 1904 napkin rings —silver, amethyst, and opal in a strict geometric pattern. Certainly, Koloman’s masterly combination of figurative, Cubist, linear, and lyrical motifs seem as edgy and new as they did more than a century ago. As this show amply demonstrates, he knew how to design a modernist, sleek lamp, making it both functional and handsome. He was also a master of working with iridescent glass. 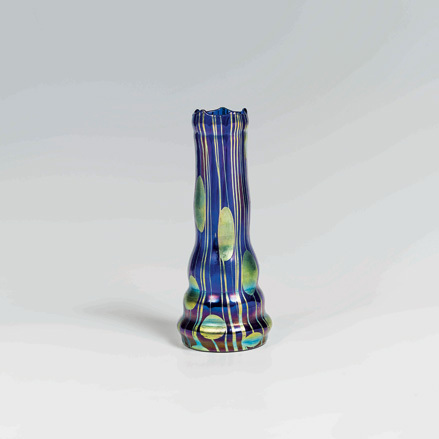 One of his many vases in this show has a dark blue underlay, clear glass overlay with stripes and dots in silver-yellow. The exhibition’s three galleries transport you back to turn-of-the century Vienna where artists, Moser among them, were throwing off the shackles of overwrought Hapsburg baroque taste. With more than 200 works on view, all the various aspects of Moser’s work are showcased. They trace his evolution from a graphic artist to a furniture designer and interior architect. The doorstop size catalog is worth lugging home if only for the excellent photographs and illustrations.